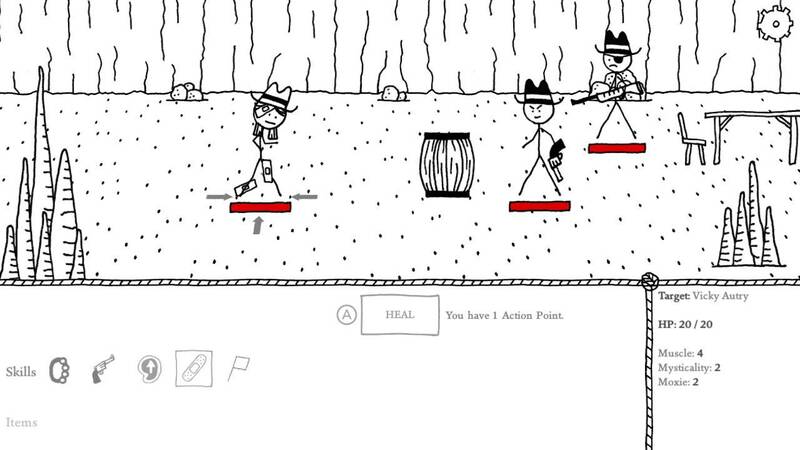 Asymmetric has announced that its slapstick comedy adventure RPG West of Loathing is coming to Nintendo Switch in Spring 2018 as a console exclusive. 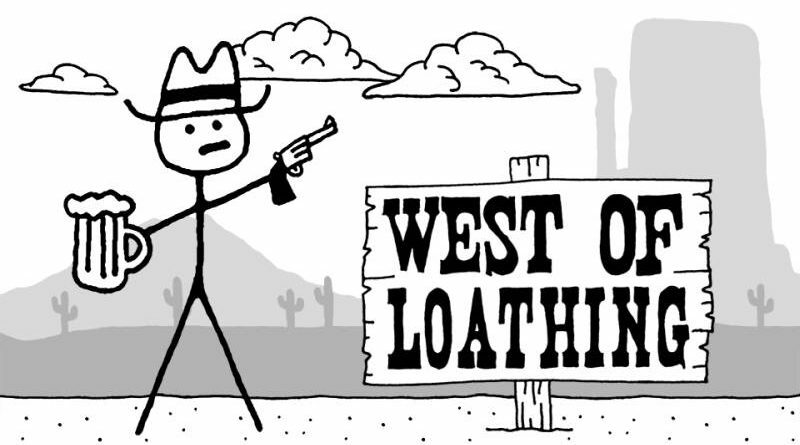 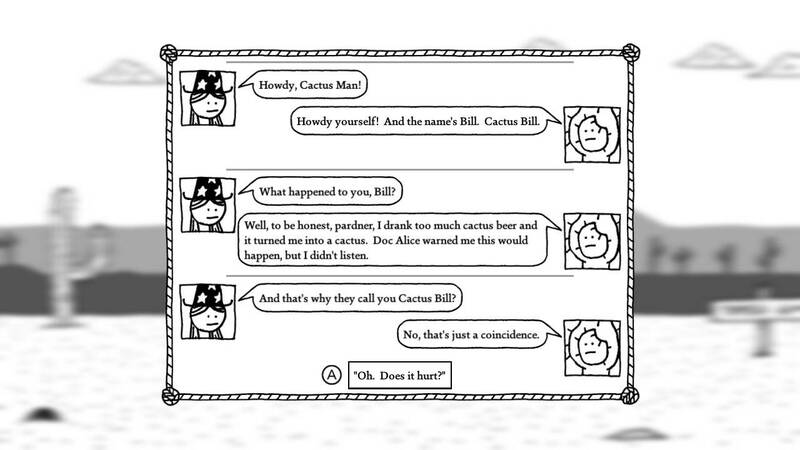 Inspired by the humor, whimsy, and storytelling of classic adventure/RPGs Quest for Glory and Paper Mario, West of Loathing is a single player role-playing game set in a slapstick stick figure rendition of the wild frontier. 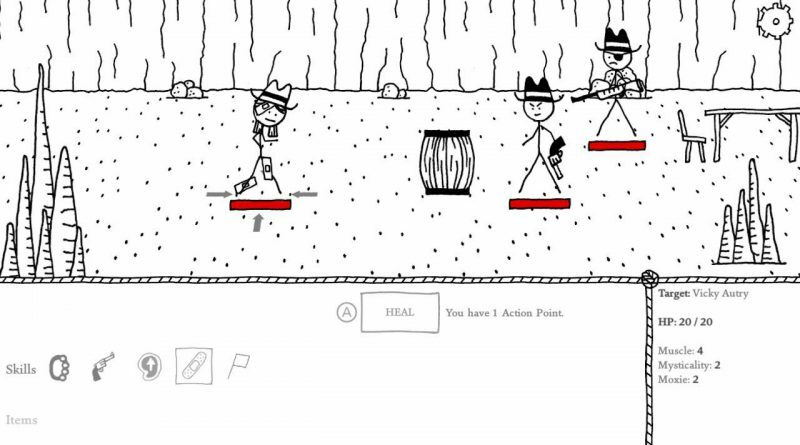 Leave your family farm and head west to find your fortune in this huge, humorous adventure brimming with branching storylines, tactical turn-based combat, and big hats. 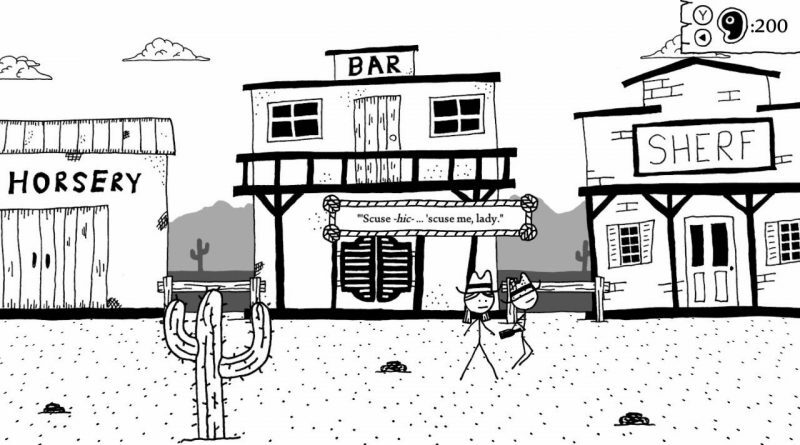 Traverse snake-infested gulches, punch skeletons wearing cowboy hats, grapple with demon cows, and investigate a wide variety of disgusting spittoons — nearly 100 unique locations to explore! your fists do the talking as a fierce Cow Puncher. 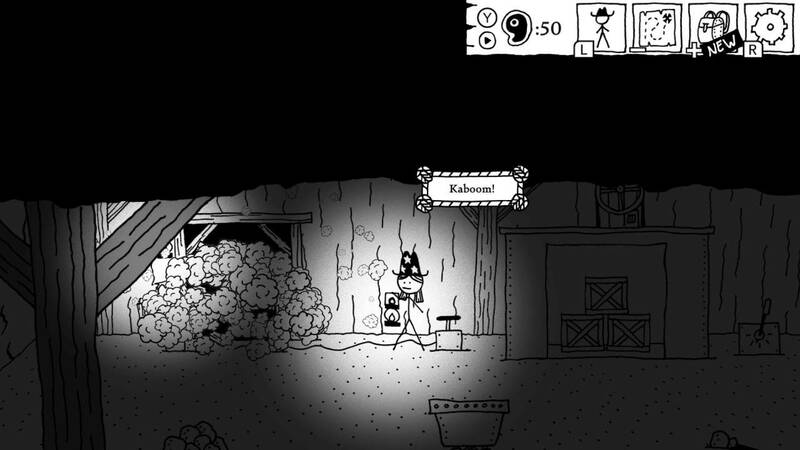 Interact with dozens of NPCs and hundreds of enemies — some of whom are good, many of whom are bad, and a few of whom are ugly. Wordplay and dad jokes abound — along with several gulches, at least one drunken horse, and liberal use of the Oxford comma.